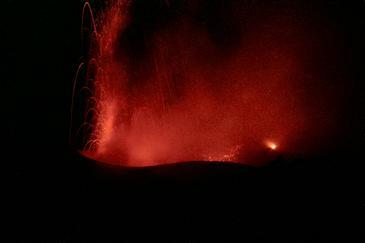 Vent (“mouth”) of a fumarole with the formation of sulfur flowers around the edge. 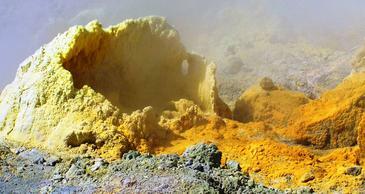 When there are high temperatures, the sulfur turns reddish brown, emits steams and melts at about 113°C. 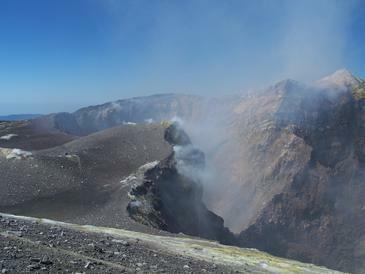 Summit of the volcano; on the left a part of the lava dome which had partially spilled out into the foothills as the result of the violent eruptive activity in November 2010. The damages caused by this natural disaster were immense (320 deaths, 26 villages completely destroyed). The needle on the right (“Eagle”) is a residue of an earlier collapsed lava dome. 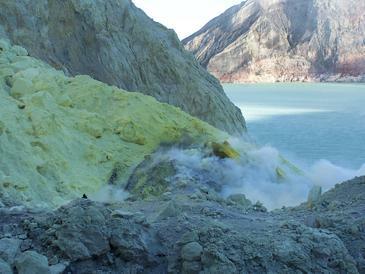 In the crater of the Kawah Ijen: In the solfataras area sulfur is mined under difficult and unhealthy conditions. The crater lake is extremely acidic. We measured pH values between 0,19 and 0,22! View into the Bocca Nuova from the “saddle area” between BN and South East Crater. In the foreground you can see the southern vent, in the background the northwestern vent which are separated by a strongly eroded wall. 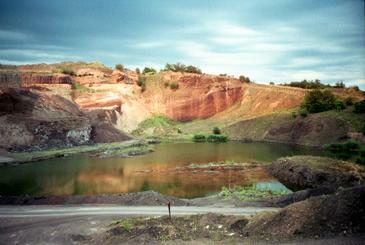 The Central Crater is located right outside the photo. 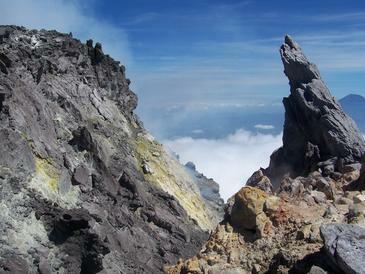 The base of this active stratovolcano is located about 2000m below the water surface. 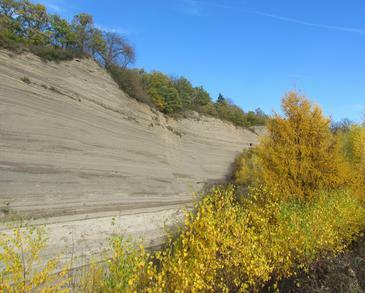 The tephra deposits impressively document the eruptive phases of the Laacher See volcano which took place about 12000 years ago. On a bright layer deposited by “Bases surges” there are fallout layers of pumice lapilli which are separated by dark tuffs. The layers above consist of lapilli and volcanic ash. The scoria cone shaping in former times the landscape has been very much altered especially since the end of the 19th century by the removal of the tertiary sands and the quaternary volcanic eruptive products.